In the middle of the Rightline Gear Jeep Build, our family sold our home and moved into an apartment while waiting for another home to be ready. How might my goal of keeping the factory soft top off the Jeep Wrangler for the whole summer survive apartment living, you might ask. My Jeep has been pretty well waterproofed as part of the build, but will I need to be wringing everything out after a night of solid rain? Will I need to give up and put that factory soft top back on? I am pretty strong willed and did not want to give up my goal so easily. After some on-line searching and talking to a few respected fellow Jeepers, I came across the Bestop Trail Cover. Made of a similar material to the factory top, the Trail Cover slides over the windshield, side mirrors, doors, and rear roll bars, attaching around the rear of the vehicle in the same manner as the original soft top. I have found the cover to be 100% water tight and quick to go on once you feel those first drops of rain. 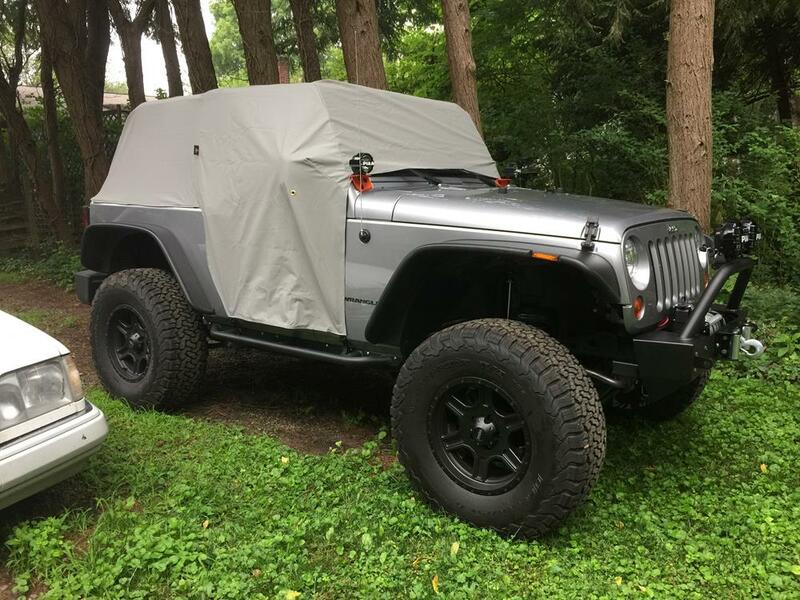 I am putting the cover on the Jeep every night and taking it off every morning before driving to work. It has become routine, once I developed a few tips for quick installation. 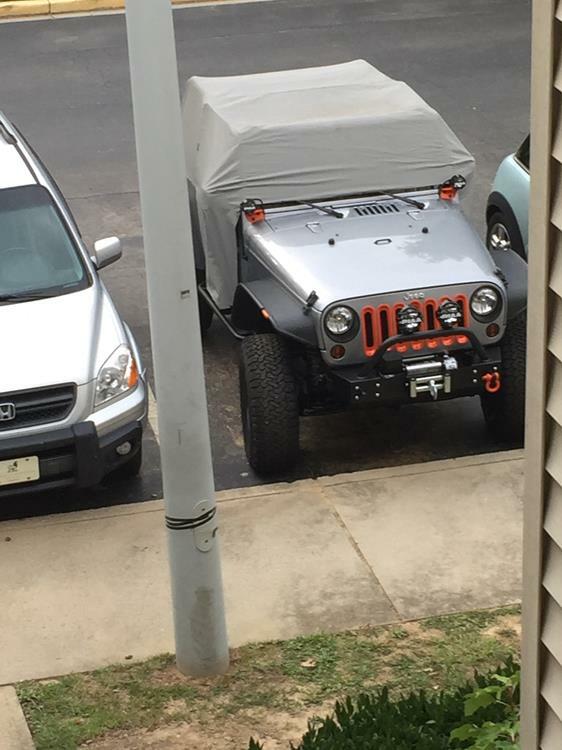 I find it best to put the cover on from the rear, hoisting it up over the top of the Jeep. Then, I pull it down over the front windshield and line it up in its basic position over the side mirrors. Next, I clip in the plastic fasteners around the sides and the rear of the Jeep. 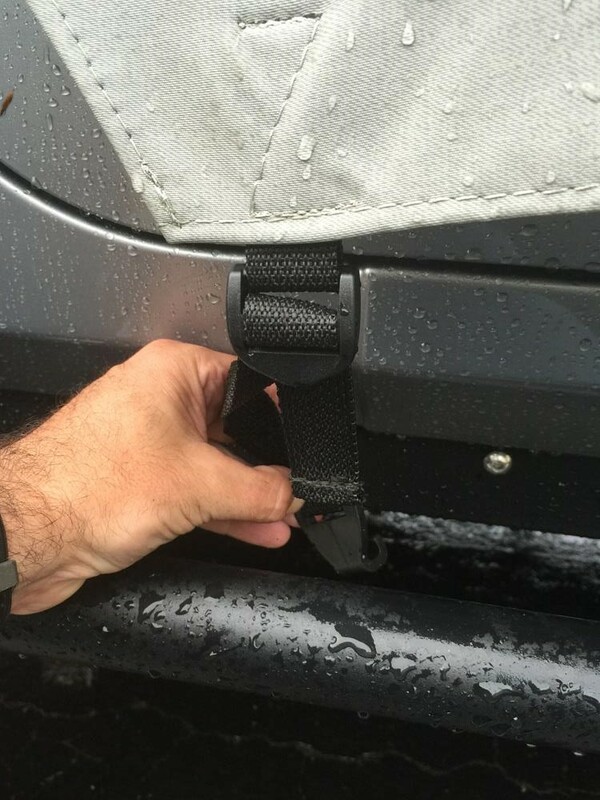 There are two straps located on the rear of the Jeep which clip under the bottom of the tailgate. 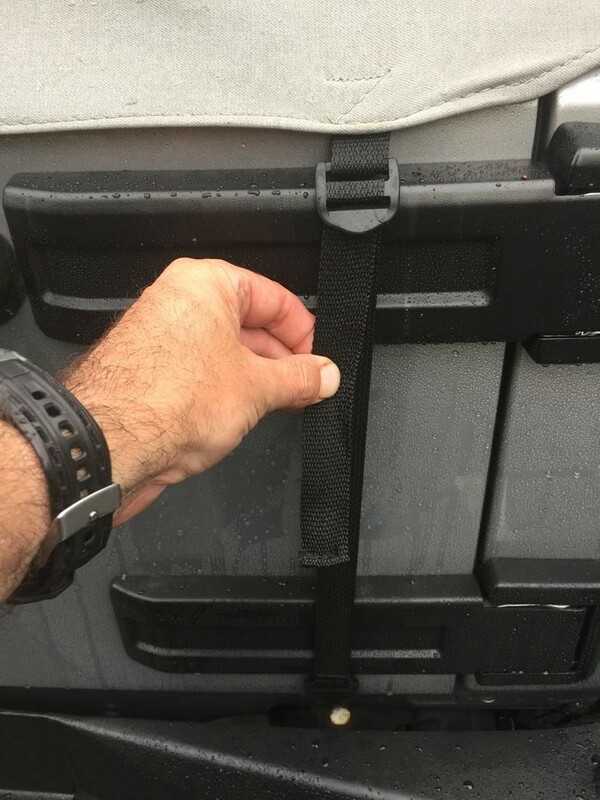 Once the cover is secured around the rear of the Jeep, I clip the (2) driver side and (2) passenger side straps under the OR-FAB Rock Sliders (but any place along the side of the Jeep will do). I have found that following these steps in reverse order is 1000 times more difficult and when completing them in the face of an impending rain storm, usually leads to a few choice words being thrown out there. My only beef with the Trail Cover is that I wish Bestop would have made the cover’s stuff sack a little larger. I have not put the cover back in the stuff sack since the day I first took it out. My “apartment lock down weather plan” has worked well for over a month now. 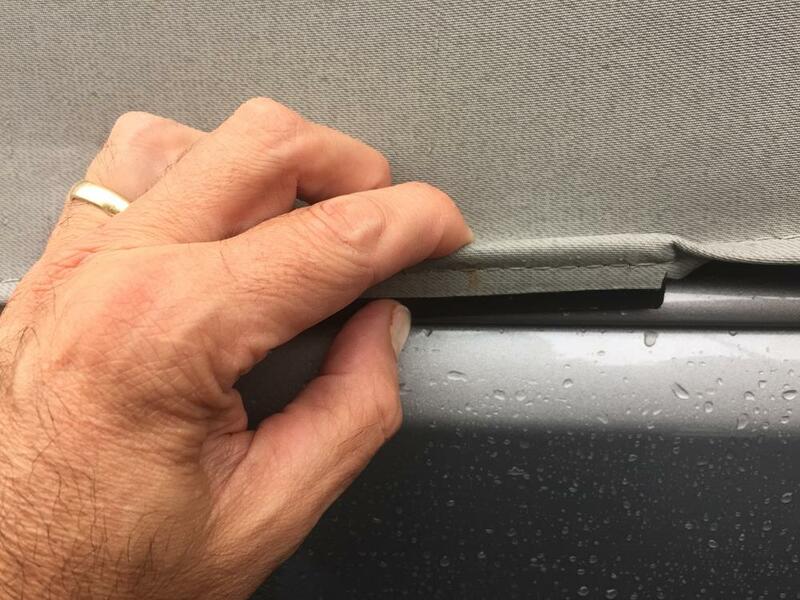 The cover even goes on over the my Bestop Safari Top. I highly recommend this cover for any similar purpose you may have.